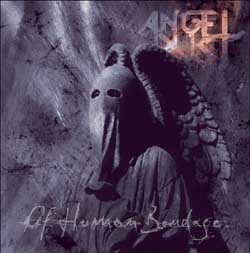 While many extreme metal bands are akin to a howitzer tank creating utter destruction all around you, Angel Dust is much more like a super-commando that gets in close and really personal about how they’re going to mess you up. Someday, someone is going to have to explain to... everyone... what exactly defines power metal. Power is really one of the last genres I’d use to describe this band (with the possible exception of 'Disbeliever'’s intro and 'Freedom Awaits'). This is Heavy Freakin’ Metal through and through. Dirk Thurisch’s vocals land somewhere between those of Dave Mustaine (Megadeth) and Erik AK (Flotsam and Jetsam) giving the metal world a refreshing taste of what metal can be without growls. That said, can you imagine Sonata Arctica with Mustaine on vox? Granted, it would make them a better band in my opinion, but it would completely change the style of music and it might cause some cohesion problems. To give those who label this as Power I have to give some credit because the choral arrangements, not style, can come across in a similar fashion to Dream Theater. The riffing laid on the listener’s head is monstrous. These guys can get chunky and heavy as hell while moving seamlessly in and out of nearly underdone psychedelic guitar wailings and keyboard fills. Much of the thrashing six-string destruction is so chock full of well articulated attitude that you might find yourself punching holes in your living room walls with undisputed glee. Bottom Line: I don’t care what you think, just because you listened to 'Unreal Soul' or 'Unite' does not mean you single-handedly accomplished the greatest victory for the human race.